While most art museums charge admission, some are public and some are private, and ticket prices have little to do with this distinction. Like other museums, art museums are non-profit organizations, whether they're public or not. The first thing to understand is what differentiates a museum from an art gallery or other exhibition space. Art museums have permanent collections or endowments and are not-for-profit entities. An art museum is not tasked with selling artwork or representing artists' financial interests, but rather act as a kind of intermediary between the owners of pieces of art and the public. "The Museum has obligations to the people of Boston and New England, across the nation and abroad. It celebrates diverse cultures and welcomes new and broader constituencies." Art museums can be either private or public. A private museum is often the personal art collection of an individual who determines how the collection is exhibited and how the museum is run. A public museum must follow legal and ethical standards, plus it must adhere to its mission statement. Many public museums are members of professional museum organizations and must follow their standards, too. Here are a few examples of public and private museums. Perhaps the biggest concentration of public museums in the U.S. can be found in Washington, D.C., home of the National Gallery of Art. Although it is now open to the public and does not charge admission, the National Gallery was privately established by Congress and initially funded in part by contributions from industrialist Andrew Mellon. The British Museum in London, believed to have the largest collection of art in the world at about 8 million pieces, is another famous and storied public art museum. Established in 1753 with pieces from the collection of scientist Sir Hans Sloane, the British Museum opened to the public in 1759. 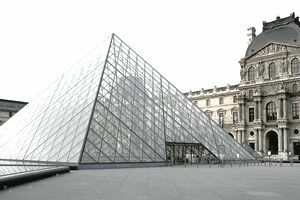 And the Musee du Louvre in France, perhaps the most famous art museum in the world, was turned from a royal collection into a public museum during the French Revolution. It houses numerous culturally significant works from ancient and recent history. There are numerous private art museums in cities around the world. They can range from a small exhibition space with just a few pieces, to a vast collection of varied artists and media. Some private art museums are rooted in history, while others are new collections on the cutting edge of the art world. For instance, the Frick Art and Historical Center in Pittsburgh is the collection of philanthropist and industrialist Henry Clay Frick and his family. Its collection dates back to 1905. Across the world, the Salsali Private Museum in Dubai, UAE was founded in 2011 to showcase contemporary art of the Middle East.